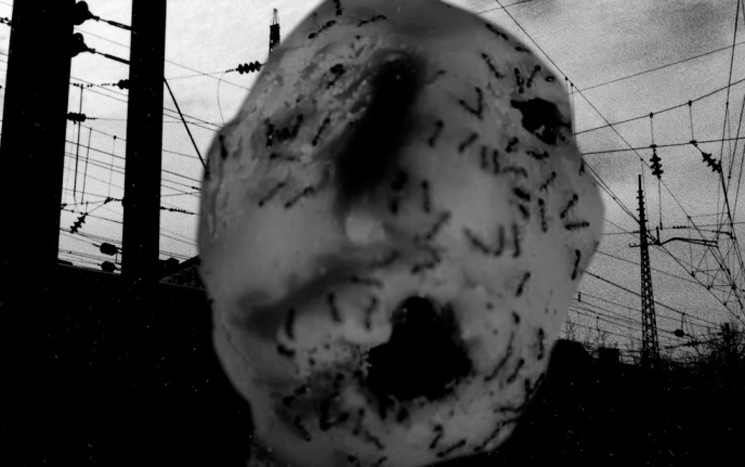 David Lynch is giving us an extra dose of weird via a newly shared short film titled Ant Head. The famed Twin Peaks director debuted the 13-minute work at the Festival of Disruption earlier this year, but you can now watch the short film online. However, if you have a fear of bugs — especially ants — you may not want to. In a statement, Lynch said Ant Head is a "short video featuring my friends the ants along with cheese, etc. and one-and-a-half tracks from the Thought Gang album." As previously reported, Thought Gang was Lynch's musical project with frequent collaborator Angelo Badalamenti, who unearthed their lost self-titled album earlier this month. Thought Gang is out now via Sacred Bones, and you can check out "Ant Head" — creepy crawlers and all — for yourself down below.